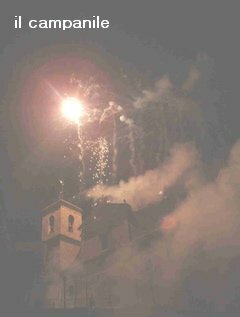 The Mother Church of San Giacomo Apostolo (Saint James the Apostle). It all began with the 1984 earthquake when the parish church building was so badly further damaged that it was declared unserviceable (unsafe). It was then that the Superintendent of Cultural Goods of L'Aquila intervened with funds for the earthquake, to consolidate its foundations, the columns and the arches of the nave. There was an initial quota of 450 million (lire) and a further one of 600 million, but as the work proceeded new problems arose, such as the foundations of the rooms under the floor being full of bones and coffins, like the one containing the mummy of a young man who lived in the 1700’s. Unfortunately the money was soon used up before the church, although consolidated, had become usable again; it still lacked flooring, wiring and electricity, fittings and it needed painting. The parish priest, Don Ignazio Cocco, continually tried to extract further funds from the relevant authorities to finish the restoration but he was unsuccessful. After about three years of complete standstill, at Christmas 1991 the parish priest started a very civil protest, calling all the faithful to come to the larger church and celebrate the birth of Christ on an altar made from planks of wood and bare bricks from the building site. 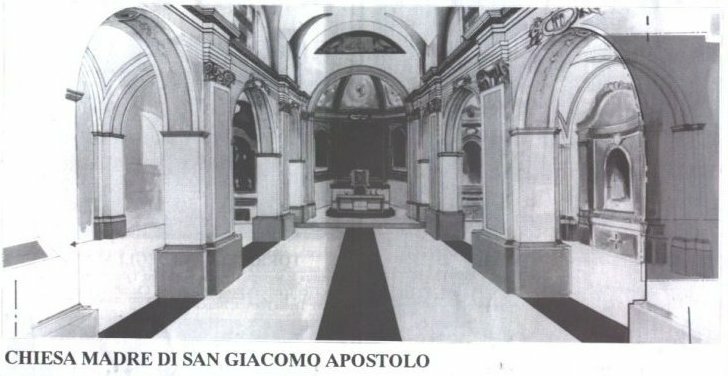 This was reported well in the regional newspapers, but without any firm results, so that in August 1992, on the occasion of the Saint’s feast day, he asked Monsignor Valentini to come and celebrate mass on that same altar because the Church of San Rocco¹ was too small to hold so many people. Still no success, the regional administrators, to whom the protest had been addressed, did not respond. So the next Christmas he formed a committee to collect funds to repair the flooring. From the launch until February the collection began and at the same time they activated the procedure for obtaining a "nulla osta" (no impediment or opposition) from the Superintendent of Beautiful Arts to rebuilding the flooring with all necessary technical advice to carry out the work in a suitable manner and style for the site (the Church with its neoclassical and baroque lines forms part of the national cultural treasures). It was in fact Architect Di Vincenzo from the Superintendent’s office in Aquila director of the earlier works, who advised the use of marble with few veins, such as "Verona Red ("rosso di Verona") for the entrance, the altar and the lateral strips, and the "Trani White" ("biancone di Trani") for the rest of the naves. Having decided what needed to be done, the work began with great enthusiasm in the late summer. The Ficca Pantaleone Company built the plan for the floor supports whilst the firm of Rossi Alberto did the work. Now the "master masons" Luigi Di Paolo (Siddero) and Antonio Porreca (Camillone) assisted by many volunteer bricklayers are finalising the most difficult and delicate part: the presbytery, the altar level, the altar and the celebrant’s seat. Of the 55 million lire collected by the middle of November, about 50 had been spent on purchase of materials and to pay the firms involved and another 6-7 million were earmarked to buy materials for the altar. With all this work, however, one can only go there to celebrate some important functions, but not on a daily basis, in fact for it to become technically "useable", the electrical installations must be put in according to the law, as well as strengthening the sacristy, putting up the furniture and fittings and repainting the walls. Thus at least another hundred million lire are needed. The only hope now is that the Minister for Public Works (LL.PP. = Lavori pubblici = public works) should sanction this amount and according to Don Ignazio there is a strong possibility that this will soon happen unless it is blocked by bureaucratic red-tape. During this interview Don Ignazio has stressed that apart from the firms and the master-workers who worked at cost, apart from the many volunteers, apart from the committee members who worked so hard to collect the money, apart from the surprising generosity of Torricellans (at the end the priest will give a complete and detailed list of all the people to thank) he also wishes to thank the architect, Davide Piccoli, who supplied the plans for the project and the estimate for the works free of charge, and the Architect Flora Chiaverini of Palena who carried out the painting of the walls at no cost.